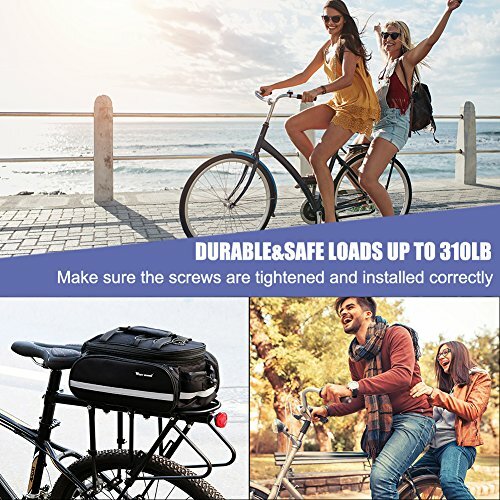 High strength aluminum alloy+Solid steel,more stable&more load-bearing capacity. The high quality material and manufacturing process reinforces it for extra strength. 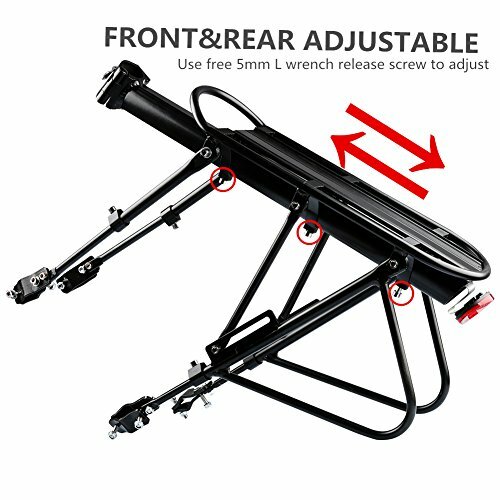 Adjustable Footstock fit most bicycles. 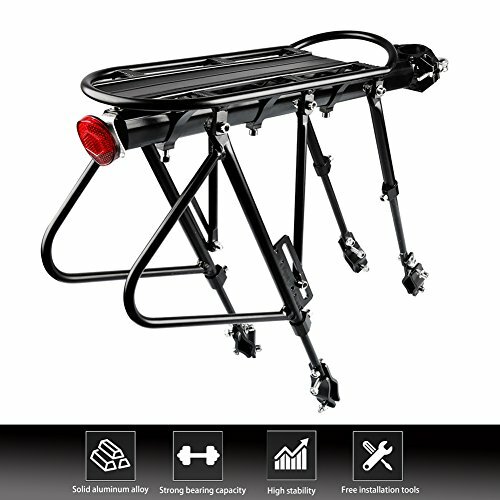 This Bicycle Carrier Rack is adjustable,the panel is adjustable on Front and rear direction. otherwise,the shelf’s height is adjustable too. Your kindness for leaving a feedback will be much appreciated. If any issues, please do not hesitate to contact us first. 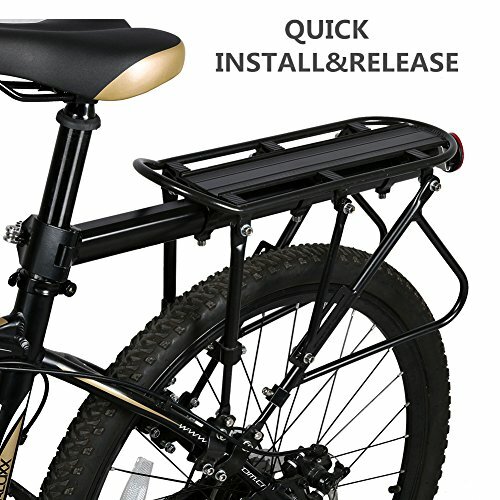 Whether you love to bike on the weekends for fun, or you commute on a daily basis, we’re all about serving up new innovative ways to rock your ride here at West Biking.【ALUMINUM ALLOY+SOLID STEEL LOAD-BEARING】Aviation grade aluminum，firm and durable.Solid axis,strong load-bearing(140kg-180kg capacity),long rides essential. 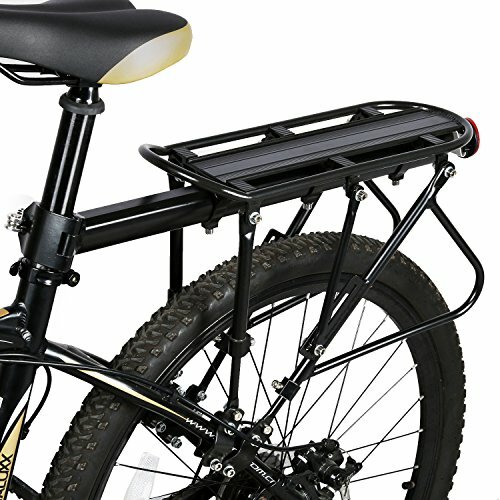 【UNIVERSAL SHELF (Fit 20-29 inch)】Suitable for most bicycles, Such as road bike, mountain bike, fat bike, etc. 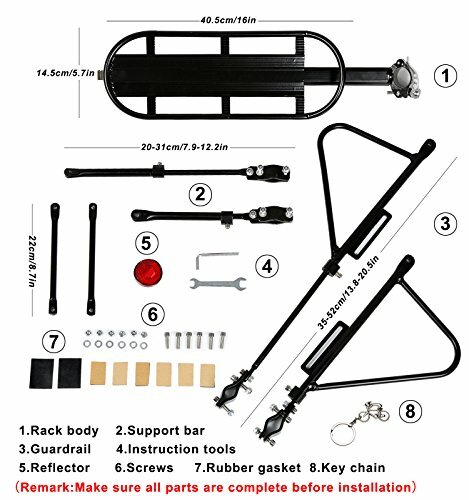 (Kids’ bike and Trek Verve can not be used ) .Come with tools and installation instruction, Easy to install. 【ADJUSTABLE SHELF】Height adjustable(Front Stent:20-31cm/7.9-12.2in,Back Stent:35-52cm/13.8-20.5in),front and rear adjustable. 【3-POINT LOAD-BEARING DESIGN】Load-bearing more uniform.Detachable reflector&Elastic cord,more safe and convenient. 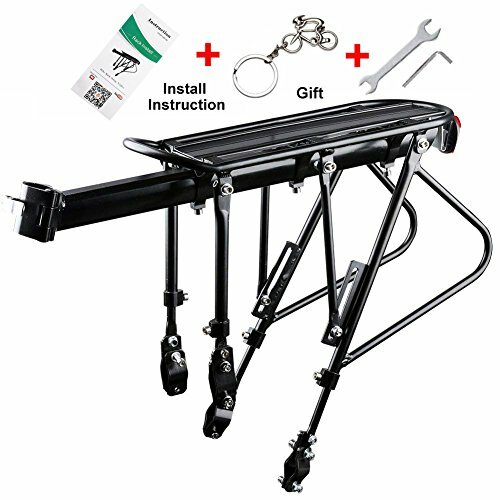 【90 DAY MONEY BACK GUARANTEE】All West Biking customers enjoy 90 day money back guarantee. Customers can return and get refunded in case the purchasing is not satisfied for any reason. You have no risk to try.